Product #1066 | SKU 2-016-0002 | 0.0 (no ratings yet) Thanks for your rating! The Redrock Micro microHandle Plus is an upgraded version of the microHandle and is used as a top or side handle for a camera rig. 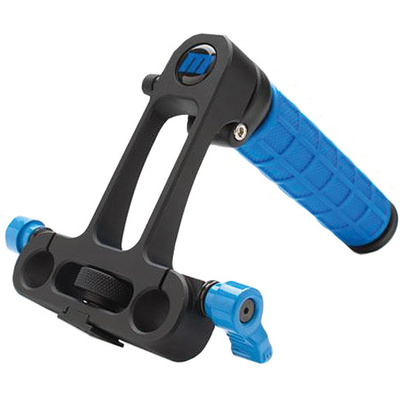 It comes with an integrated shoe clamp for directly connecting the handle to the top shoe mount on your DSLR camera. The 1/4"- 20 female tap allows you to attach a top-mounted monitor to the handle for easy low-mode shooting. Industry-standard rails can be attached to the handle via mounting holes for mounting camera accessories.